PLEASE READ THIS JULIEN MARIE INCORPORATED TERMS OF SERVICE AGREEMENT CAREFULLY. BY USING THIS WEBSITE OR ORDERING PRODUCTS FROM THIS WEBSITE YOU AGREE TO BE BOUND BY ALL OF THE TERMS AND CONDITIONS OF THIS AGREEMENT. This Julien Marie Incorporated Terms of Service Agreement (the “Agreement”) governs your use of this website, www.moneyshotpills.com (the “Website”), Julien Marie Incorporated’s (“MoneyShot Pills”) offer of products for purchase on this Website, or your purchase of products available on this Website. This Agreement includes, and incorporates by this reference, the policies and guidelines referenced below. Julien Marie Incorporated reserves the right to change or revise the terms and conditions of this Agreement at any time by posting any changes or a revised Agreement on this Website. Julien Marie Incorporated will alert you that changes or revisions have been made by indicating on the top of this Agreement the date it was last revised. The changed or revised Agreement will be effective immediately after it is posted on this Website. Your use of the Website following the posting any such changes or of a revised Agreement will constitute your acceptance of any such changes or revisions. Julien Marie Incorporated encourages you to review this Agreement whenever you visit the Website to make sure that you understand the terms and conditions governing use of the Website. This Agreement does not alter in any way the terms or conditions of any other written agreement you may have with Julien Marie Incorporated for other products or services. If you do not agree to this Agreement (including any referenced policies or guidelines), please immediately terminate your use of the Website. If you would like to print this Agreement, please click the print button on your browser toolbar. 1. Terms of Offer. This Website offers for sale certain products (the “Products”). By placing an order for Products through this Website, you agree to the terms set forth in this Agreement. THIS WEBSITE AND PRODUCTS OFFERED ON THIS WEBSITE ARE INTENDED FOR ADULT INDIVIDUALS AT LEAST EIGHTEEN YEARS OF AGE. 2. Health Disclaimer. The statements and Products available on this Website have not been evaluated by the Food and Drug Administration. The Products are not intended to diagnose, treat, cure, or prevent any disease or other health issue. If you are pregnant, nursing, taking medication, have a history of heart conditions, or have questions about the Products or nutritional supplements in general, please consult a medical doctor before using any of the Products. The results from use of any of the Products as recounted on the Website are not typical; not everyone will experience these types of results. 3. Proprietary Rights. Julian Marie Incorporated has proprietary rights and trade secrets in the Products. You may not copy, reproduce, resell or redistribute any Product manufactured and/or distributed by Julian Marie Incorporated . 4. Sales Tax. If you purchase any Products, you will be responsible for paying any applicable sales tax. 1. Content; Intellectual Property; Third Party Links. In addition to making Products available, this Website also offers information and marketing materials. 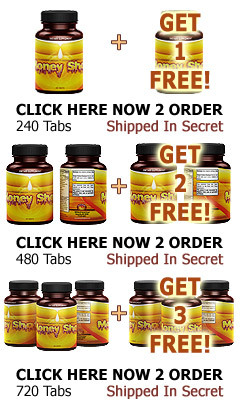 This Website also offers information, both directly and through indirect links to third-party websites, about nutritional and dietary supplements. Julian Marie Incorporated does not always create the information offered on this Website; instead the information is often gathered from other sources. To the extent that Julian Marie Incorporated does create the content on this Website, such content is protected by intellectual property laws of the United States, foreign nations, and international bodies. Unauthorized use of the material may violate copyright, trademark, and/or other laws. You acknowledge that your use of the content on this Website is for personal, noncommercial use. Any links to third-party websites are provided solely as a convenience to you. Julian Marie Incorporated does not endorse the contents on any such third-party websites. Julian Marie Incorporated is not responsible for the content of or any damage that may result from your access to or reliance on these third-party websites. If you link to third-party websites, you do so at your own risk. 3. License. By using this Website, you are granted a limited, non-exclusive, non-transferable right to use the content and materials on the Website in connection with your normal, noncommercial, use of the Website. You may not copy, reproduce, transmit, distribute, or create derivative works of such content or information without express written authorization from Julian Marie Incorporated or the applicable third party (if third party content is at issue). 4. Posting. By posting, storing, or transmitting any content on the Website, you hereby grant Julian Marie Incorporated a perpetual, worldwide, non-exclusive, royalty-free, assignable, right and license to use, copy, display, perform, create derivative works from, distribute, have distributed, transmit and assign such content in any form, in all media now known or hereinafter created, anywhere in the world. Julian Marie Incorporated does not have the ability to control the nature of the user-generated content offered through the Website. You are solely responsible for your interactions with other users of the Website and any content you post. Julian Marie Incorporated is not liable for any damage or harm resulting from any posts by or interactions between users. Julian Marie Incorporated reserves the right, but has no obligation, to monitor interactions between and among users of the Website and to remove any content Julian Marie Incorporated deems objectionable, in Julian Marie Incorporated’s sole discretion. 1. THAT THE INFORMATION PROVIDED ON THIS WEBSITE IS ACCURATE, RELIABLE, COMPLETE, OR TIMELY. 2. THAT THE LINKS TO THIRD-PARTY WEBSITES ARE TO INFORMATION THAT IS ACCURATE, RELIABLE, COMPLETE, OR TIMELY. 3. THAT THE PRODUCTS OR MATERIALS AVAILABLE ON THIS WEBSITE, OR LINKED TO ON THIRD-PARTY WEBSITES, ARE LAWFUL OR HEALTHY TO MANUFACTURE, DISTRIBUTE, OR USE. 4. NO ADVICE OR INFORMATION, WHETHER ORAL OR WRITTEN, OBTAINED BY YOU FROM THIS WEBSITE WILL CREATE ANY WARRANTY NOT EXPRESSLY STATED HEREIN. 5. AS TO THE RESULTS THAT MAY BE OBTAINED FROM THE USE OF THE PRODUCTS OR THAT DEFECTS IN PRODUCTS WILL BE CORRECTED. 6. REGARDING ANY PRODUCTS PURCHASED OR OBTAINED THROUGH THE WEBSITE. 1. JULIEN MARIE INCORPORATED’S ENTIRE LIABILITY, AND YOUR EXCLUSIVE REMEDY, IN LAW, IN EQUITY, OR OTHWERWISE, WITH RESPECT TO THE WEBSITE CONTENT AND PRODUCTS AND/OR FOR ANY BREACH OF THIS AGREEMENT IS SOLELY LIMITED TO THE AMOUNT YOU PAID, LESS SHIPPING AND HANDLING, FOR PRODUCTS PURCHASED VIA THE WEBSITE. 2. JULIEN MARIE INCORPORATED WILL NOT BE LIABLE FOR ANY DIRECT, INDIRECT, INCIDENTAL, SPECIAL OR CONSEQUENTIAL DAMAGES IN CONNECTION WITH THIS AGREEMENT OR THE PRODUCTS IN ANY MANNER, INCLUDING LIABILITIES RESULTING FROM (1) THE USE OR THE INABILITY TO USE THE WEBSITE CONTENT OR PRODUCTS; (2) THE COST OF PROCURING SUBSTITUTE PRODUCTS OR CONTENT; (3) ANY PRODUCTS PURCHASED OR OBTAINED OR TRANSACTIONS ENTERED INTO THROUGH THE WEBSITE; OR (4) ANY LOST PROFITS YOU ALLEGE. 3. SOME JURISDICTIONS DO NOT ALLOW THE LIMITATION OR EXCLUSION OF LIABILITY FOR INCIDENTAL OR CONSEQUENTIAL DAMAGES SO SOME OF THE ABOVE LIMITATIONS MAY NOT APPLY TO YOU. You will release, indemnify, defend and hold harmless Julian Marie Incorporated, and any of its contractors, agents, employees, officers, directors, shareholders, affiliates and assigns from all liabilities, claims, damages, costs and expenses, including reasonable attorneys’ fees and expenses, of third parties relating to or arising out of (1) this Agreement or the breach of your warranties, representations and obligations under this Agreement; (2) the Website content or your use of the Website content; (3) the Products or your use of the Products; (4) any intellectual property or other proprietary right of any person or entity; (5) your violation of any provision of this Agreement; or (6) any information or data you supplied to Julian Marie Incorporated. When Julian Marie Incorporated is threatened with suit or sued by a third party, Julian Marie Incorporated may seek written assurances from you concerning your promise to indemnify Julian Marie Incorporated; your failure to provide such assurances may be considered by Julian Marie Incorporated to be a material breach of this Agreement. Julian Marie Incorporated will have the right to participate in any defense by you of a third-party claim related to your use of any of the Website content or Products, with counsel of Julian Marie Incorporated’s choice at its expense. Julian Marie Incorporated will reasonably cooperate in any defense by you of a third-party claim at your request and expense. You will have sole responsibility to defend Julian Marie Incorporated against any claim, but you must receive Julian Marie Incorporated’s prior written consent regarding any related settlement. The terms of this provision will survive any termination or cancellation of this Agreement or your use of the Website or Products. 1. Force Majeure. Julian Marie Incorporated will not be deemed in default hereunder or held responsible for any cessation, interruption or delay in the performance of its obligations hereunder due to earthquake, flood, fire, storm, natural disaster, act of God, war, terrorism, armed conflict, labor strike, lockout, or boycott. 2. Cessation of Operation. Julian Marie Incorporated may at any time, in its sole discretion and without advance notice to you, cease operation of the Website and distribution of the Products. 3. Entire Agreement. This Agreement comprises the entire agreement between you and Julian Marie Incorporated and supersedes any prior agreements pertaining to the subject matter contained herein. 4. Effect of Waiver. The failure of Julian Marie Incorporated to exercise or enforce any right or provision of this Agreement will not constitute a waiver of such right or provision. If any provision of this Agreement is found by a court of competent jurisdiction to be invalid, the parties nevertheless agree that the court should endeavor to give effect to the parties’ intentions as reflected in the provision, and the other provisions of this Agreement remain in full force and effect. 5. Governing Law; Jurisdiction. This Website originates from the State of Nevada. This Agreement will be governed by the laws of the State of Nevada without regard to its conflict of law principles to the contrary. Neither you nor Julian Marie Incorporated will commence or prosecute any suit, proceeding or claim to enforce the provisions of this Agreement, to recover damages for breach of or default of this Agreement, or otherwise arising under or by reason of this Agreement, other than in the state or federal courts located in Carson County, State of Nevada. By using this Website or ordering Products, you consent to the jurisdiction and venue of such courts in connection with any action, suit, proceeding or claim arising under or by reason of this Agreement. You hereby waive any right to trial by jury arising out of this Agreement and any related documents. 6. Statute of Limitation. You agree that regardless of any statute or law to the contrary, any claim or cause of action arising out of or related to use of the Website or Products or this Agreement must be filed within one (1) year after such claim or cause of action arose or be forever barred. 7. Waiver of Class Action Rights. BY ENTERING INTO THIS AGREEMENT, YOU HEREBY IRREVOCABLY WAIVE ANY RIGHT YOU MAY HAVE TO JOIN CLAIMS WITH THOSE OF OTHER IN THE FORM OF A CLASS ACTION OR SIMILAR PROCEDURAL DEVICE. ANY CLAIMS ARISING OUT OF, RELATING TO, OR CONNECTION WITH THIS AGREEMENT MUST BE ASSERTED INDIVIDUALLY. 8. Termination. Julian Marie Incorporated reserves the right to terminate your access to the Website if it reasonably believes, in its sole discretion, that you have breached any of the terms and conditions of this Agreement. Following termination, you will not be permitted to use the Website and Julian Marie Incorporated may, in its sole discretion and without advance notice to you, cancel any outstanding orders for Products. If your access to the Website is terminated, Julian Marie Incorporated reserves the right to exercise whatever means it deems necessary to prevent unauthorized access of the Website. This Agreement will survive indefinitely unless and until Julian Marie Incorporated chooses, in its sole discretion and without advance to you, to terminate it. 9. Domestic Use. Julian Marie Incorporated makes no representation that the Website or Products are appropriate or available for use in locations outside the United States of America. Users who access the Website from outside the United States of America do so at their own risk and initiative and must bear all responsibility for compliance with any applicable local laws. 10. Assignment. You may not assign your rights and obligations under this Agreement to anyone. Julian Marie Incorporated may assign its rights and obligations under this Agreement in its sole discretion and without advance notice to you.